Not to be confused with Irish National War Memorial Gardens. 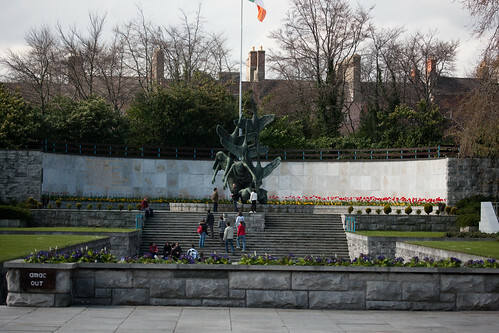 The Garden of Remembrance is a memorial garden in Dublin dedicated to the memory of "all those who gave their lives in the cause of Irish Freedom". It is located in the northern fifth of the former Rotunda Gardens in Parnell Square (formerly Rutland Square), a Georgian square at the northern end of O'Connell Street.